Kemper Technology Consulting is excited to announce that the Website Development team has earned a total of five ADDY® Awards for outstanding website and mixed media advertising design. 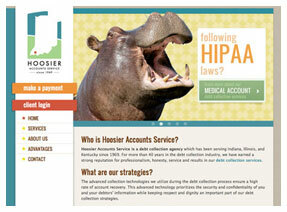 Kemper Technology Consulting took home a Gold ADDY® for its design of the Bucks & Jakes website, a Silver ADDY® for the design of the Hoosier Accounts website, and a Bronze ADDY® for the design of the Affordable Health website. Members of the web development team were Ashley Nixon, Matt Pearce, and Steve Ernstberger. In the mixed media advertising category, the team took home a Silver ADDY® for the Kemper CPA Group Bringing Nerdy Back campaign. Team members included Ashley Nixon, Steve Ernstberger, Matt Pearce, and Ronda Espenlaub. 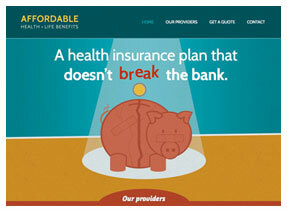 The team also earned a Bronze ADDY® for the Kemper Classroom Series campaign. Team members included Ashley Nixon, Matt Pearce, Tonia Johnson, and Ronda Espenlaub. 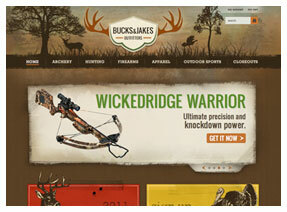 The website development team previously won a Gold and a Silver ADDY® in the 2011 Awards Competition. The ADDY® Awards, sponsored by the American Advertising Federation (AAF) of Greater Evansville, recognize and showcase Evansville’s best advertising creative talent. The Greater Evansville chapter of the AAF presented its ADDY® Awards during a reception held at Casino Aztar on Friday, February 10, 2012. The ADDY® Awards Competition is a three-tier national competition conducted annually by the AAF. The ADDY® Awards are the advertising industry’s largest and most representative competition for creative excellence. Kemper Technology Consulting, a division of Kemper CPA Group LLP, was founded in 1983 to provide the firm’s accounting clients with technology support. Additional services include website design and programming, Internet marketing, web application development, network design and infrastructure services, accounting software consultation and support, point of sale services, and remote support. For additional information about the Kemper Technology Consulting website development team, please visit their website www.kemperwebteam.com. Copyright © 2012 Kemper Technology Consulting. All rights reserved. Kemper Technology Consulting is a division of Kemper CPA Group LLP with offices in Indiana, Illinois, Kentucky, and California.